The secret life of the war memorials. Short this week and more of a reflection than a story. I was helping with filing forms to register our war memorials in the Imperial War Museum’s registry. Unless you are involved in some way in the affairs of preserving the past, you have no idea about the secret lives of historical objects. Take our memorials: We know that there is a name not included. Apparently this is not as uncommon as you might think. People move away, errors are made, documents go missing etc. The memorials are meant to last forever, but they also can be damaged by weather and other circumstances. There are various organizations that take care of war memorials and sometimes help with funding a restoration and correction of memorials. Like this one. Of course there are conditions to meet and paperwork to fill to get a grant. It’s all very complicated as it always is when money is involved. All you ever wanted to know about Marjon’s founders but were afraid to ask: Coleridge, the man who stayed. …And some of the background. Don’t forget to meet the man that could. 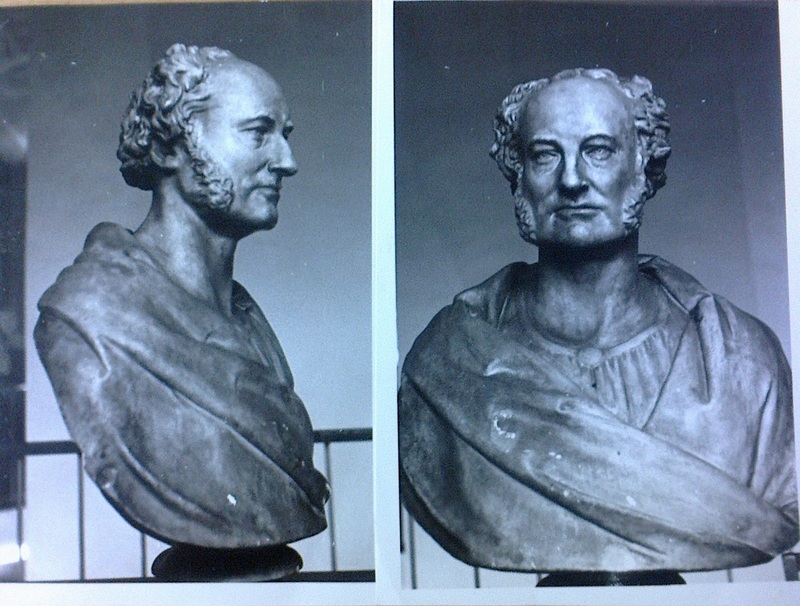 The bust of Derwent Coleridge- one of our unique objects. What I can really say about him is that he must have been a tough cookie. Being born a child of Samuel Taylor Coleridge was no walk in the park. Celebrity parent- enough said. You know what they say:’ Some people are born to greatness, other have it thrust upon them’. Coleridge was much like that. All he wanted was to get on with his life and his career. He wanted to write and to be an influential figure in the Church of England. But it turned out that he was really good at teaching and organizing things. He already knew how to make a proper school, since he practically built the school in Helston from the ground up. That’s why he was appointed a principal of St Marks College in 1841. But unlike Kay-Shuttleworth, who after two years went to do other fabulous things, Coleridge remained the principal for over twenty years. He too understood the need for an organized, widespread education. As a minister, he had contact with the poorest of his parishioners and he felt that the country, as an organization, has failed its citizens. However he also understood what was wrong with the way the knowledge was passed down. ‘He cannot teach what he does not know. He cannot explain what he does not understand. He must himself be educated before he can educate others.’ he said. He knew that education is not only passing of the facts, but also a training of intellect and thus understanding is superior to memorizing. And if all of that doesn’t persuade you, just look at our motto: Abeunt studia in mores- Studies are transformed into character. That’s what Coleridge often quoted and that’s what education meant to him-not only gaining knowledge, but a betterment of a person. He is not called a ground-breaking pioneer, but his legacy is that of the hearts and minds of people. He was of great influence among his students and that’s how he is remembered. He is someone who changed lives and in a way, he continues to do so even today. All you ever wanted to know about Marjon’s founders but were afraid to ask: Kay-Shuttleworth, the man that could. 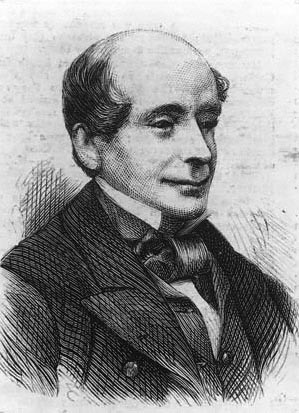 James Kay-Shuttleworth. You had a favourite teacher because of him. He started out as a banker, but his love for science made him to enrol the University of Edinburgh and study medicine. After he graduated, he settled in Manchester and opened a practice. But was he content just practicing medicine and cashing on his education? Nope. He served on the local Board of Health, conducted medical research and got involved in organizing various help for the poor. So here he was, a person already in position to help others. But was he content with doing just that? No, it was not enough for the good doctor Kay to treat the symptoms; he wanted to treat the disease. ‘He thus became profoundly impressed with the belief that the remedy for much of the evil around him lay in developing the intelligence and raising the character of the people’ (Adkins 1906) I.e, he realised that the only way to make things better is to give people education, but you can’t have education where there is no teachers, can you? He and Mr. Tufnell (who should be named the honorary founder for all his help) visited various schools abroad, to see how the things were done over there. All they have learned from their journeys they put into the Battersea Training School. It was established in the Battersea House that Kay bought in 1840. It was supposed to be an experiment, an attempt to establish an example to follow and to show how to make proper teachers. I guess it worked better than expected, because the experiment, that was meant to run for two years, kept on going until the merging of the two Colleges in 1923. After the success of Battersea Training School, the colleges for educating teachers started to appear and St Mark’s College among them. Quick, what is the fastest way to insult a teacher? Quote them the old saying: ‘Those who can- do, those who cannot- teach’. I’ve always wondered on the absurdity of that one, but as I learned recently, there was a time when it was true. Imagine: 19th century, the industrial revolution in full swing. The cities teeming with people and only so much work for the unskilled and uneducated. Poverty ruled supreme. No wonder that the crime went out of control and you could be robbed in the middle of a busy street. Or worse. Of course there were schools for the poor, sometimes located in old warehouses, sheds, even private homes with barely a space to put down a book if there was actually one available. It was even worse if you were stuck in a workhouse. And the teachers? ‘ the teachers were for the most part men and women who had failed to make their way in any of the ordinary trades or occupations and who were therefore thought likely to succeed in the comparatively easy task of educating children…’(Gent 1991). Anyone could teach, no matter if they were half- literate themselves . And that was not all. There were voices that opposed the general idea of educating masses. it was not uncommon to meet with an opinion that it would made people ‘…discontented with their lot in life…’ It is barely conceivable to us, how people could be expected to just accept a life of hardships and poverty and denied a chance for a better future. However, that’s how stratified was the life back then. You were supposed to be happy with ‘your place’ no matter what. So that’s how it was: little to no schools, and no teachers worthy of that title. The founders of St Mark’s and St John’s were among those people that thought that nothing will change for the better if the education would remain the privilege of the wealthy. They were very different and not always seen eye to eye in the matters of educating teachers, but they were both forward thinking and unusual people. Let me tell you about them. geography department are being used to decorate the corridor walls. But those maps are not only a decoration. They will be used to illustrate various things. 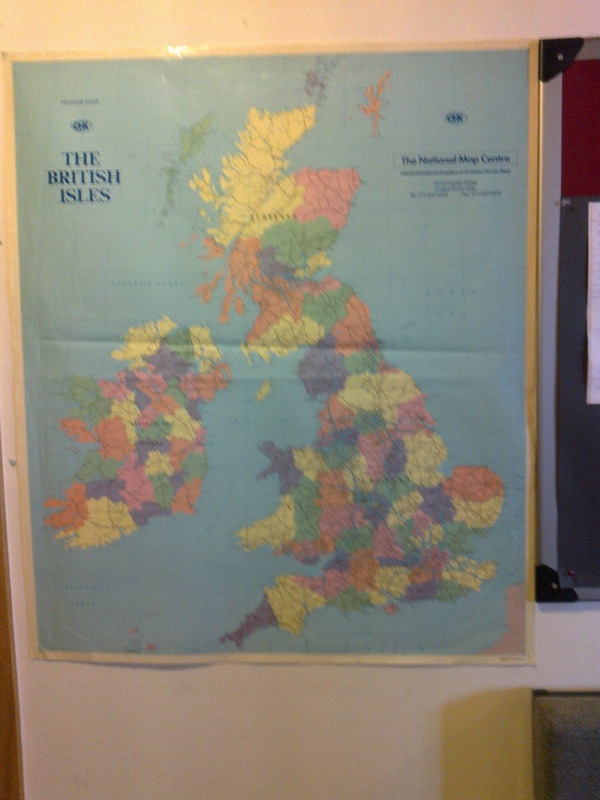 The big retro map of the United Kingdom will be used to track the flow of students to old Colleges. The maps of London will be used to pinpoint the places that were connected to both schools. 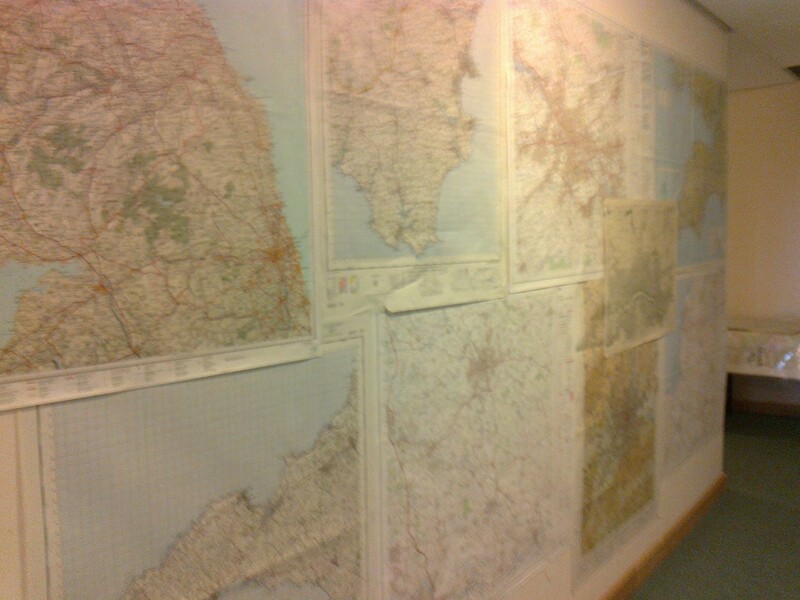 The rest of the maps will be a place for the volunteers to display their work. Each of us chose a place we like best. People have complicated feelings towards their places and our wall is a proof that the strongest feelings are not always towards the place of one’s birth. We chose by heart, not by the initial allegiance. I don’t know if there is a science that studies the feelings that people have for places, but there should be one.